Rescue Bandage TQ Inflatable Tourniquet is a unique life saving device, easy to use and highly effective – when time counts – Stop the Bleed. With this Traumatic Injury device you will be ready to handle any emergency where blood loss is present, when everything fails the Rescue Bandage TQ will not. Its compact design is perfect for 4×4, boating, mining, atv, construction and outdoor recreation – every first aid kit needs the Rescue Bandage! In an emergency situation it is easy to feel overwhelmed, feelings of frustration, despair and sometimes just giving up. Picture an accident in your workshop, home or sporting event where a person is bleeding dangerously from a traumatic wound – you are frantically searching through a first aid kit for gloves, scanning the packaging for correct wound dressing, trying to open the packaging and then attempt to apply direct pressure to the bleeding site. Holding pressure you then need to search for a compression bandage and with one hand start bandaging the roll, the bandage and dressing is slipping away from the wound and rapidly becoming saturated and ineffective. Simply ‘Slide and wrap’ the Rescue Bandage around the limb above the bleeding wound, the Velcro Restraint secures the Rescue Bandage in place – as you pump the inflation bulb the bladder system compresses the underlying blood vessels to stop the bleed. 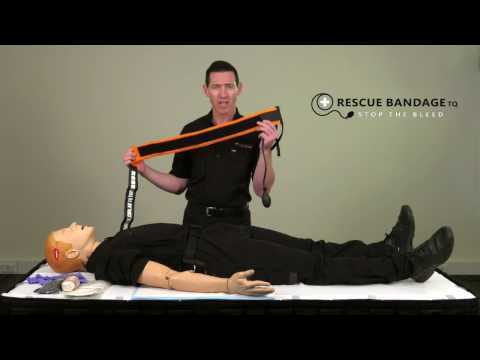 This is one vital piece of first aid equipment that every first aid kit needs to allow you to take control in an bleeding emergency, the Rescue Bandage TQ. Emergency situations and occur anywhere, you need to ability to stablise life threating blood loss FAST – Rescue Bandage was designed for self application in the field. As farming practices are fast moving with ever increasing use of machinery and quad bikes – the Rescue Bandage becomes your life saving companion in the field. Rescue Bandage is lightweight and waterproof, available in our innovative waterproof bum bag style that is comfortable and wearable in the water and incorporates ultra bright LED lightbar to attract attention. A must for any on water emergency – whether you are into boating, fishing, stand up boarder, surfer or water rescue organisation, make the Rescue Bandage TQ your constant companion. 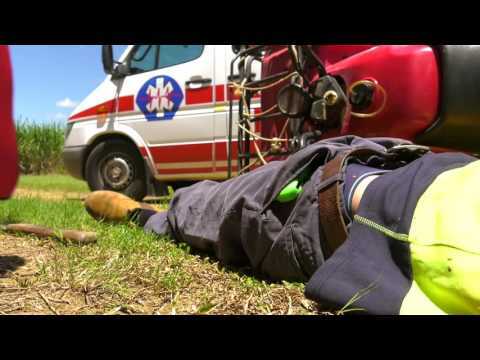 Rescue Bandage is used by Emergency Responders Australia wide – Fire & Emergency Services, Ambulance Services, Police and Security, Emergency Response Teams, Volunteer Rescue and Community First Responder groups all know the importance of rapid traumatic injury response! Rescue Bandage was conceived and designed by highly experienced Rescue Paramedics looking for an effective, safe, ease of use – The Rescue Bandage was born! Rescue Bandage is the gold standard product of choice for Safety & Risk Managers – highly intuitive design features make the Rescue Bandage easy to train and induct staff. Lightweight and Compact design allows placement within emergency response kits – Rescue Bandage TQ – it just works! 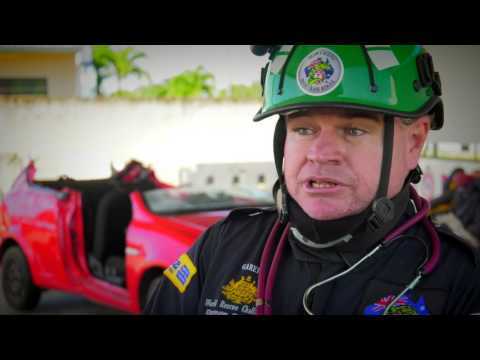 "In 26 years of Paramedicine I have never found an effective easy to use product that anybody can use in an emergency to stop blood loss, that’s why I invented the Rescue Bandage"